As the only community liaison nurse (learning disabilities and autism) on the Shetland Islands – the subarctic archipelago of Scotland that lies north east of Great Britain – Penelope Clark uses ferries to reach some of her clients and can spot whales on the drive to the supermarket. The 800-mile move with her husband and two children from Wiltshire in March last year has seen her take on the autonomous nursing role with passion and zeal. ‘I looked at it as a challenge, it is a lone position with just me,’ says Ms Clark, whose success in the role was recognised in March by winning the outstanding healthcare professional award at the 2018 Autism Professional Awards, run by the National Autistic Society. When she arrived, there had been no learning disability community nurse in place for two years and there were long waits for diagnosis. 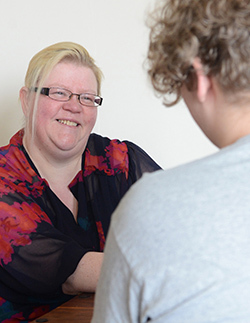 Among the changes she implemented was to add the care of people with autism to her title – and she changed the referral process so people can refer to her directly, cutting down waiting times and anxiety for affected families. Ms Clark, who previously worked in inpatient settings, implemented regular learning disability and autism meetings, bringing professionals and third sector workers together to create a multi professional team. This increased cross sector working, ensuring better communication, raising awareness and supporting better outcomes. The role involved working with a ranges of services including supported living and out reach, day centres, respite services, other professionals such as children’s nurses, schools and social workers and, of course, individuals and their families. ‘When I arrived there were 17 on the case load, and this rose to 89, mainly adults,’ she says. ‘At the beginning it was quiet, as no one knew I was here. Once my email got out and I became inundated. 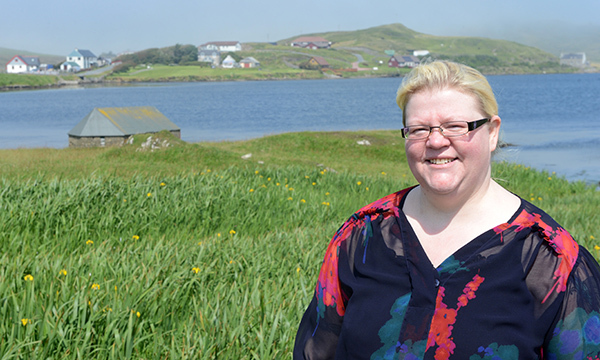 Her caseload is scattered geographically – the 23,000-strong population of Shetland are spread across 16 inhabited islands. She left the NHS in July and has now set up her own private practice which she says enables her to have the flexibility and freedom to work outside the 8am-4pm constraints and be more innovative such as using services users as experts. 'I felt sad leaving the NHS but I wanted to do so much more,' she says. Winters are long and tough, with many more hours of darkness than in England. In the peak of summer it is light from 3.30am until midnight. But working with an island community brings many benefits, she says. People are committed to helping each other, pulling together and working for each other in ways she has never experienced elsewhere. When she phones people up from different services, they are eager to help in any way they can. ‘There is a genuine nature here and people rally round,’ she says. ‘I often think about how I would find it if I moved back to the UK mainland. I would find it difficult. Here I can just ring people up and they are so committed to helping.